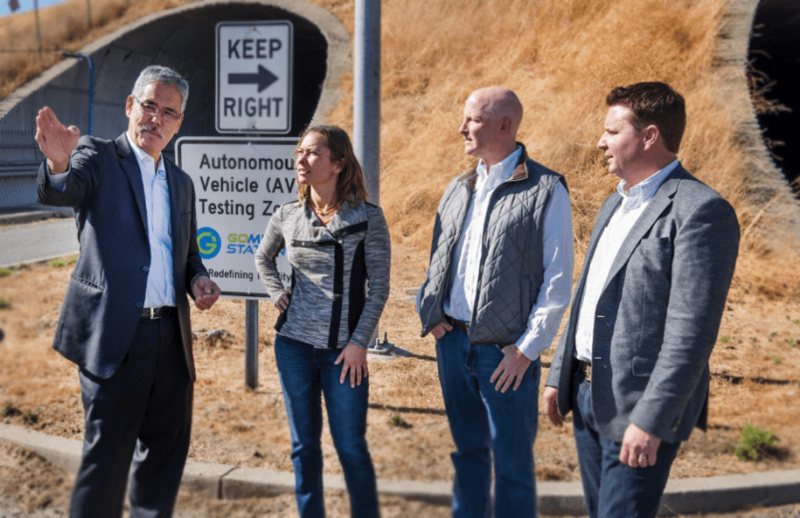 WALNUT CREEK, CA – Oct. 12, 2017 – AAA Northern California, Nevada & Utah is proud to announce its partnership with GoMentum Station and the Contra Costa Transportation Authority on an exclusive agreement to study and test how autonomous vehicles can be safely implemented for public use. This marks another key step in the auto club’s larger plan to help its Members make the transition to new forms of transportation that can be safer, more convenient and improve lives. AAA believes autonomous vehicles can potentially be a highly effective method of transportation. They can also provide greater mobility to seniors and the disabled and redefine travel for the next generation. According to AAA’s 2017 survey, three-quarters of U.S. drivers reported being skeptical of riding in a selfdriving car, and only 10 percent reported that they’d actually feel safer sharing the roads with driverless vehicles. With a seat at the table, AAA can accelerate adoption of technologies that increase safety while bringing Members along for the journey and learn about exciting new developments in transportation through a trusted, independent source that has a long heritage in motor vehicle safety. AAA Northern California offers a wide array of automotive, travel, insurance, DMV, financial services and consumer discounts to more than 4 million members. AAA has been a leader and advocate for the safety and security of all travelers since it was founded more than 117 years ago.